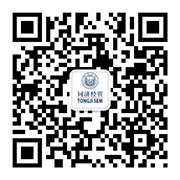 Tongji University is one of the leading universities directly under the State Ministry of Education in China. It offers degree programs both at undergraduate and postgraduate levels. The university has School of Sciences, School of Architecture and Urban Planning, School of Civil Engineering , Mechanical School, School of Environmental Science and Engineering, School of Material Science and Engineering, School of Electronics and Information Engineering, School of Traffic and Transportation, Medical School, School of Liberal Arts and Law, School of Foreign Languages, School of Economics and Management, School of Software Engineering, school of Ocean and Earth Science. In addition, there are Institute of Further Education, Institute of Higher Technology, Institute of Vocational and Technical Education, Institute of E-Education, Women’s College, Institute of Automobile Marketing and Sino-German Institute which is authorized by Chinese and German governments to run postgraduate courses. There are also six university hospitals located in different campuses. Swimmers must carry physical examination cards and swimming caps. Student cards should be shown when buying tickets.